Mortem Vetus are very proud to present Realis Lumina. 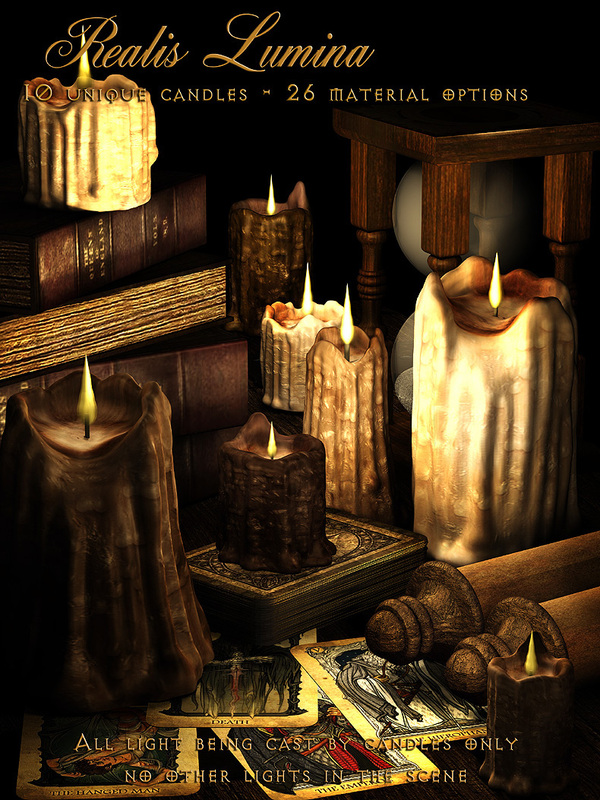 This is a set of ten unique candles, each of which casts its own light. Light a scene completely with just these candles, and because they cast their own light, they offer very realistic and easy to use illumination. With 26 Beautiful Realistic old wax texture options, the possibilities are endless. The User Guide for this product can be downloaded from our User Guides Freestuff section.